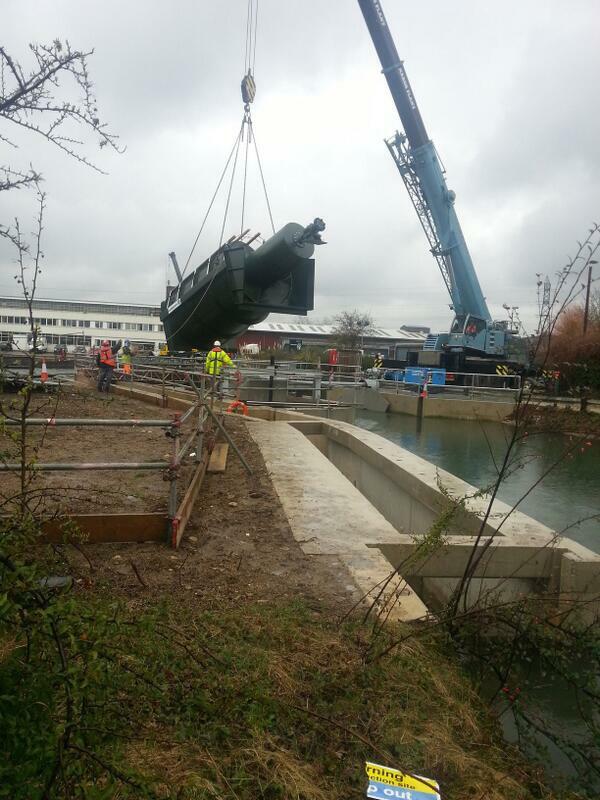 Archimedes arrives at Osney Lock! By Mary and has 3 comments. 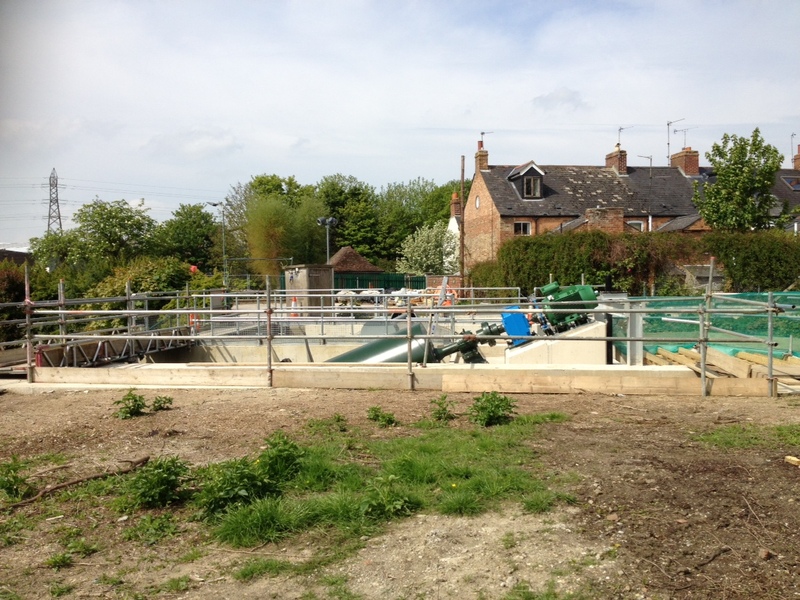 Osney Lock Hydro is the first community-owned hydro scheme to be built on the Thames. 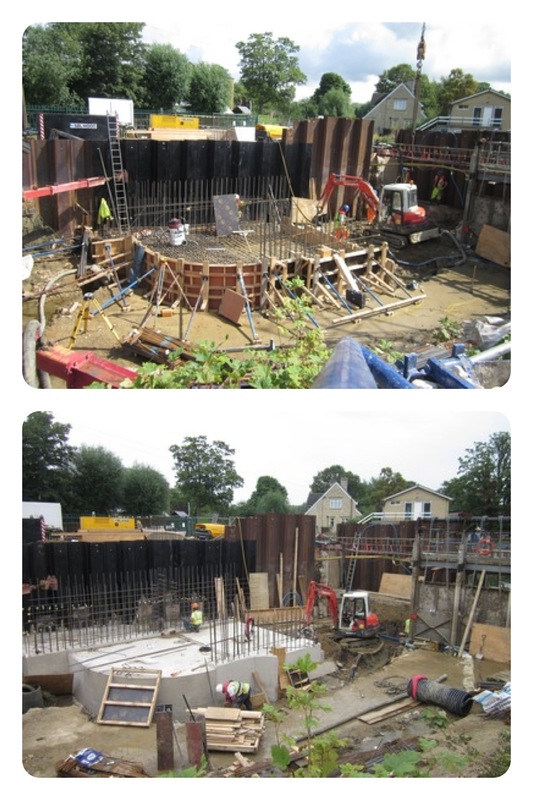 Constructing a community-owned hydro scheme at Osney Lock has been a dream for local residents for over thirteen years. 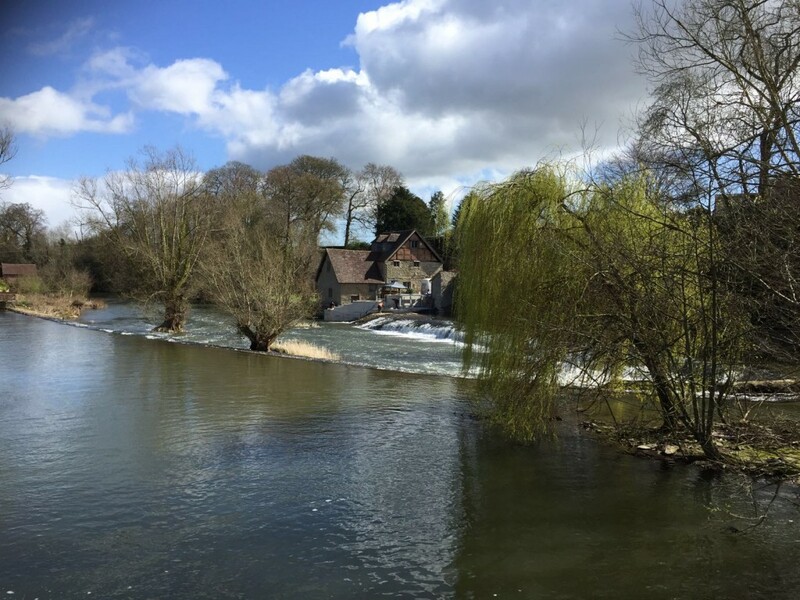 It started in 2001 with a survey of Osney Island residents that revealed a shared concern about climate change and a desire to harness the power of the river that ran around the island to generate green electricity. 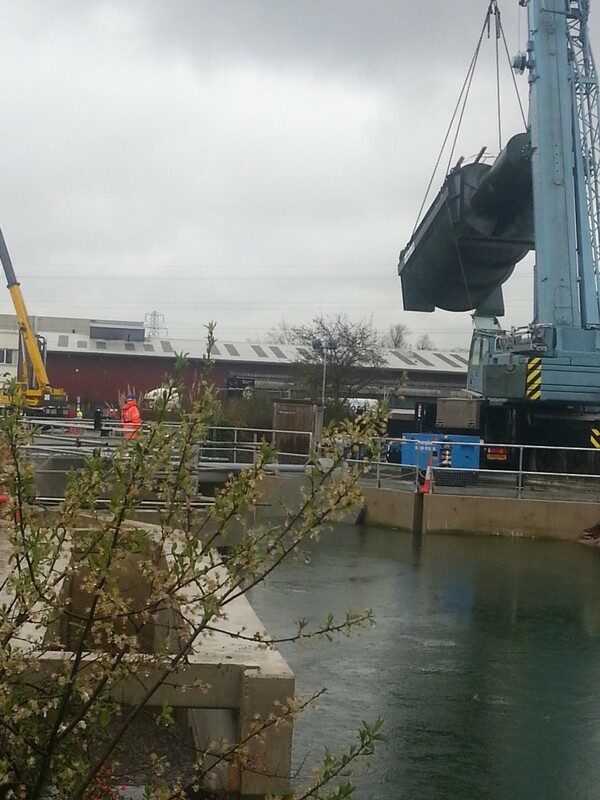 A small island next to Osney Lock was identified as the best site for the hydro scheme. 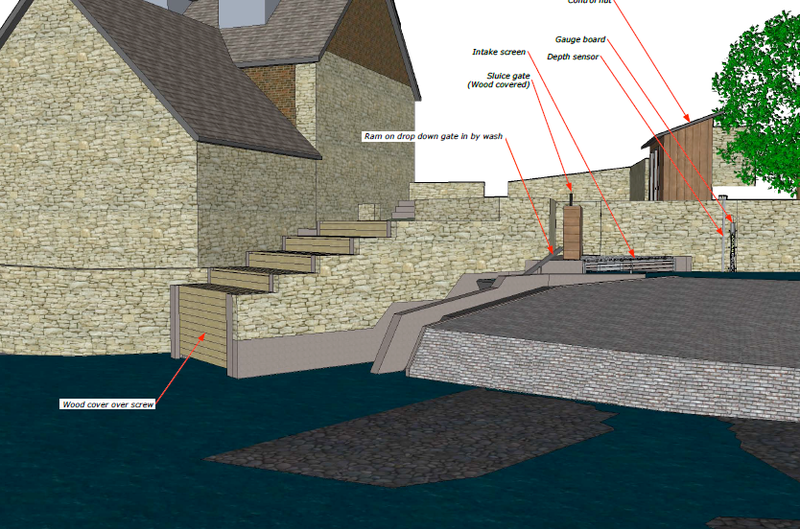 The island is owned by the Environment Agency so they were approached about the possibility of leasing the site. 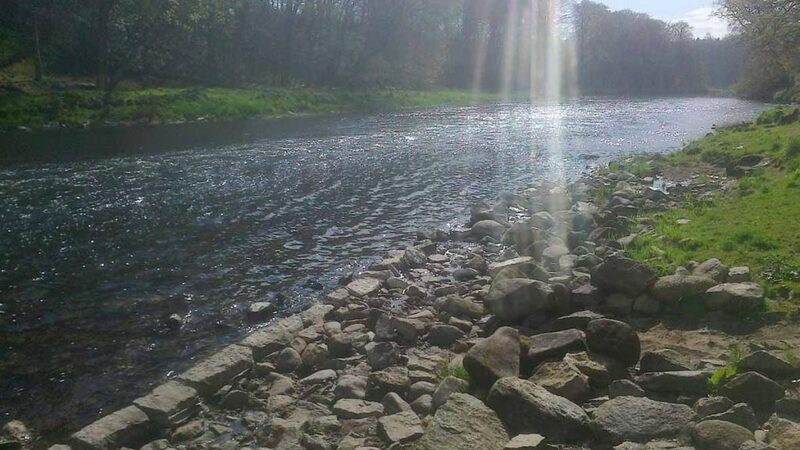 It was discovered that work was to begin on the weir in 2013 so the pressure was on for the residents to draw up plans for the Archimedean Screw and secure planning permission and then most importantly secure funding for the project. There was extraordinary support shown by local people towards the project. 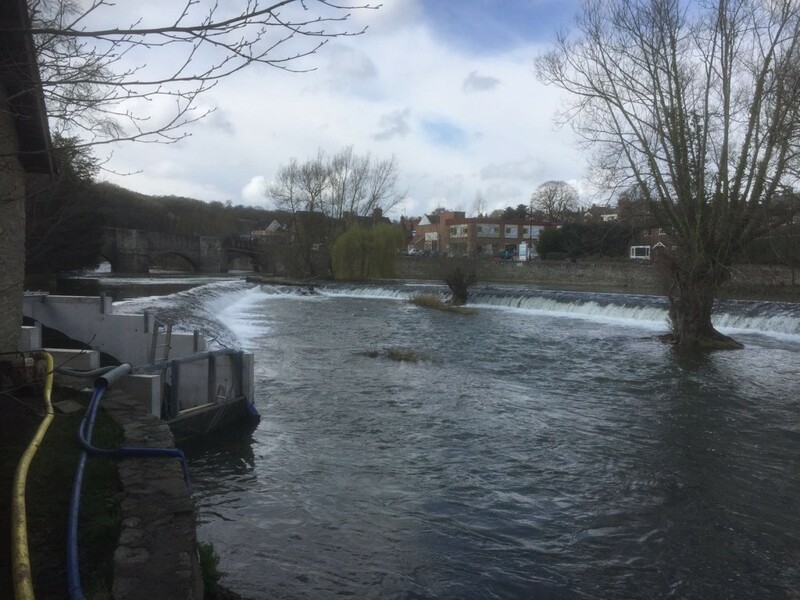 The Osney Lock Hydro share offer raised over £500,000 in just four weeks. 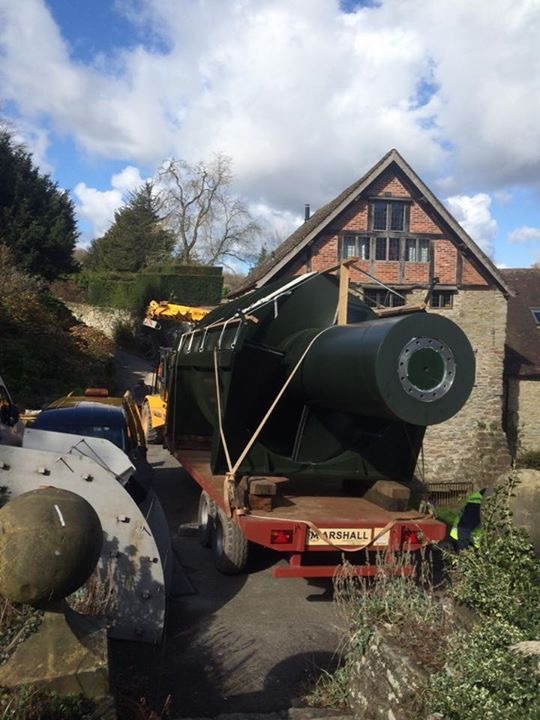 Without this swift and significant support the project would not have been able to go ahead. 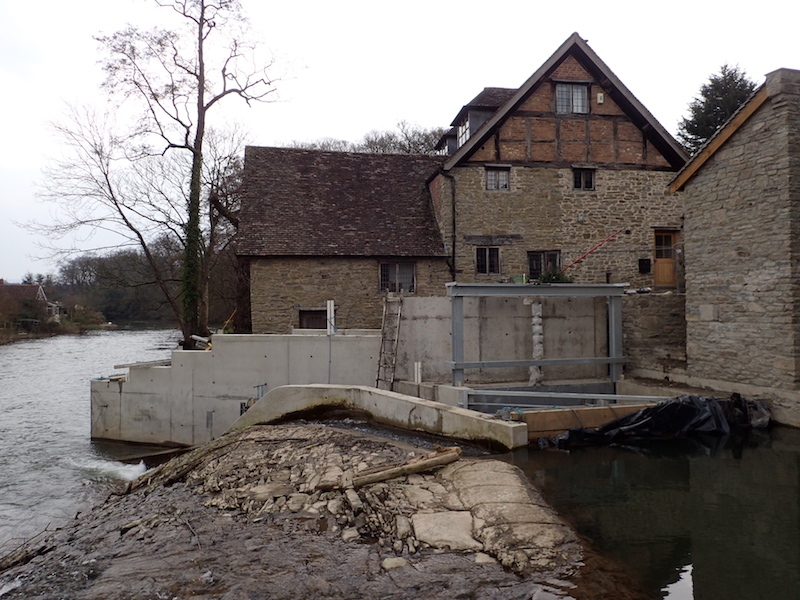 Over 40% of the investment came from within a mile of the project and 4 out of 5 investors live in Oxfordshire. 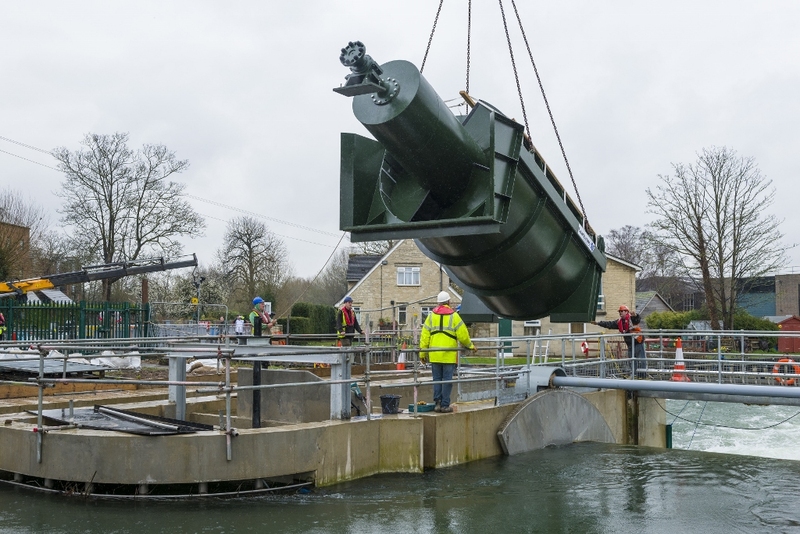 On Tuesday 25th March at midday the dreams of the local residents came to life when a 4.35m-long, four-bladed Archimedean screw was installed at Osney Lock – the final construction phase of the Osney Lock Hydro scheme. 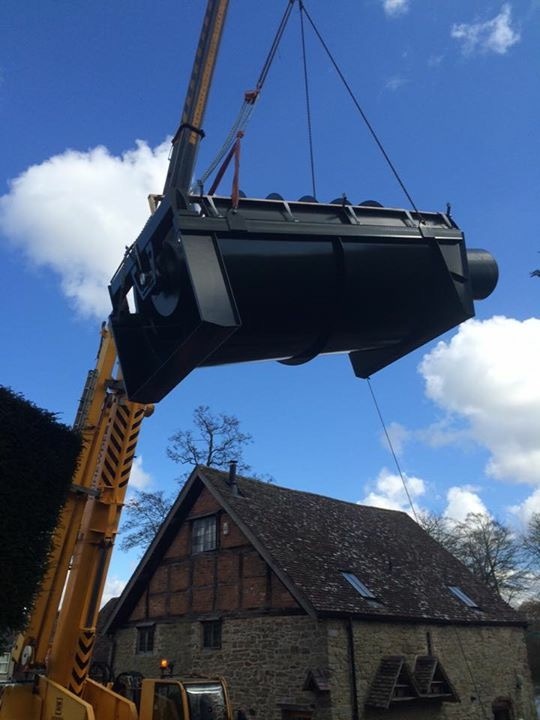 The screw was designed by Mann Power Consulting Limited in the UK and manufactured in the Netherlands by Landustrie. 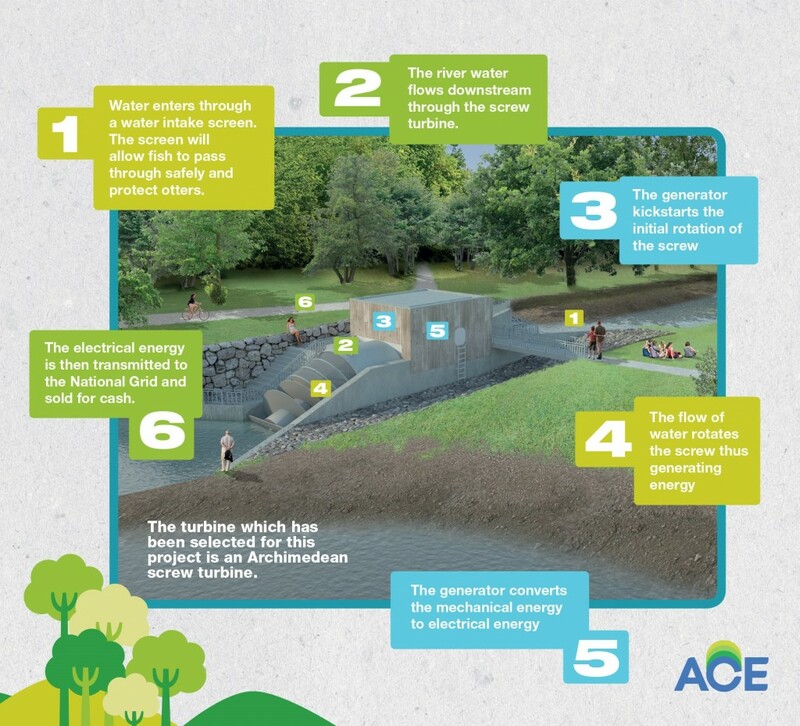 Once operational, the 49kW variable speed Archimedean Screw turbine will harness the power of the river to generate approximately 179,000kWh of green electricity per year. 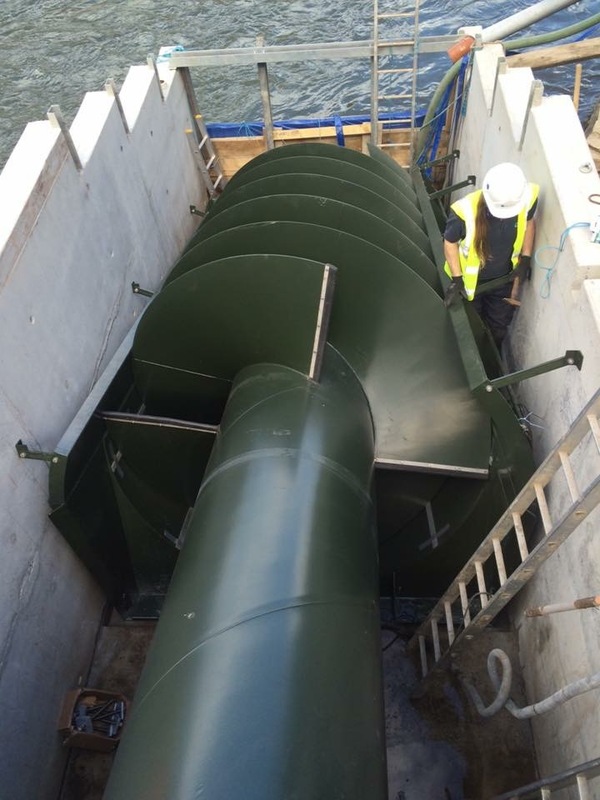 When the scheme is completed it will generate enough electricity equivalent to that used to power around 60 houses. 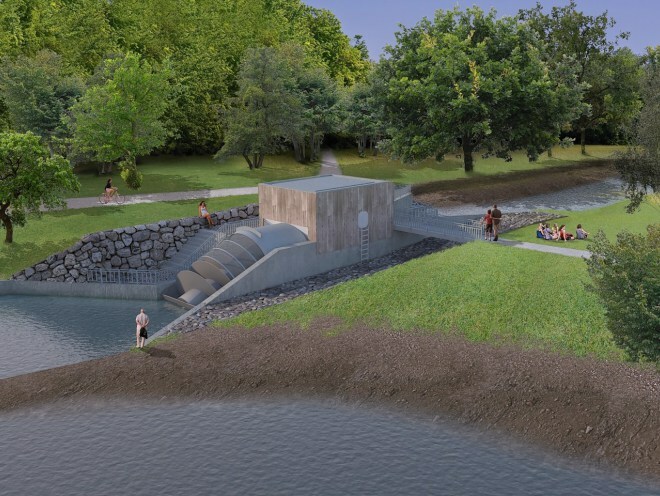 It will also generate an income of over £2 million over the lifespan of the project for the community to use for further environmental projects in the community. Update: Gear box and generator connected.